Lifeventure 2 in 1 Utensil a lightweight, titanium cross between a fork and a spoon. Ideal for adventure racing, mountain marathons and expedition when weight is a main consideration. For the minimalist traveller or outdoor enthusiast, this is an ultra-light, ultra-tough fork and spoon combined, made from a titanium alloy. 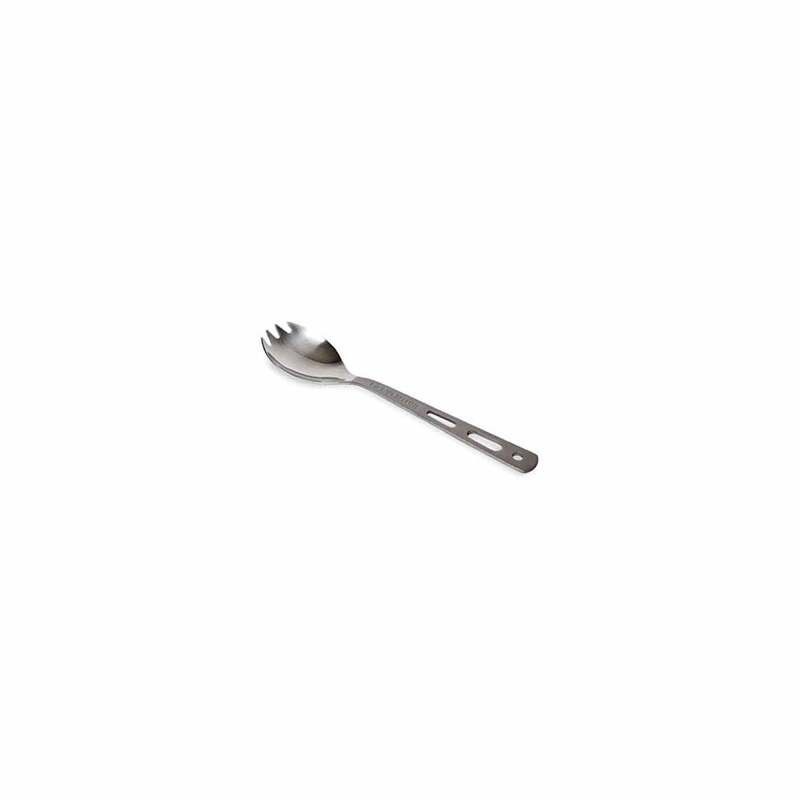 We recommend this lightweight spork for your adventure!